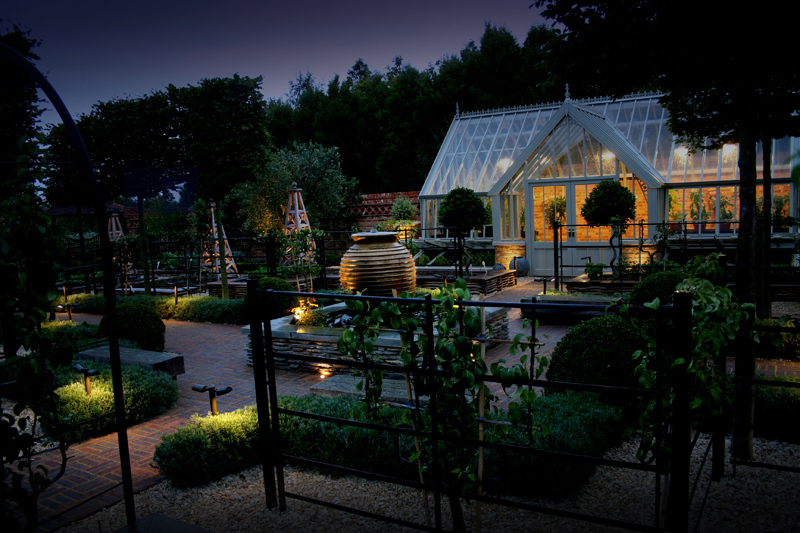 Why not phase the installation of your garden lighting? 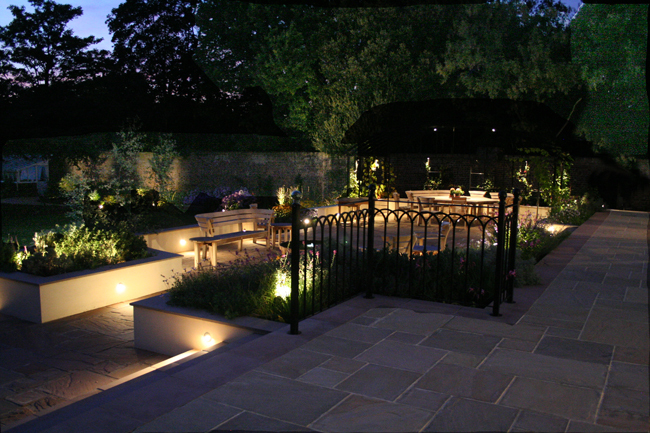 Lighting in the garden takes on various functions including lighting a pathway, improving security and creating a mood or aesthetic that enhances your garden at night. Garden lighting is often on the want list when I meet with a new client, but it’s often one of the first things to be taken out if the budget won’t stretch to accommodate it. But it doesn’t have to be expensive. It’s often the fittings that cost the money so, for example, if you’re using spike lights in the flowerbeds then choose a simple light in a black finish rather then something more expensive such as stainless steel. The only thing you need to be wary of with cheap fittings is that they may not be safe to use outside. When I work with clients who can’t afford lighting from the outset, we often put the infrastructure in place when the garden is built as this allows them to introduce lighting at a later stage. The cabling and ducting is reasonably low in cost so it won’t hurt your pockets and it will prevent any disturbance to the garden later. Ensuring you have a power to the garden is also essential, but is worth the money up front if it allows you to add the rest as and when you’re ready. This makes more sense to me anyway as often the plants are small when they’re first planted and the garden needs some time to mature before they can be enhanced with lighting. I mostly work with Garden Lighting companies when I’m planning the lighting. They’re experts in their field and most will provide you with a design that they can help you to implement. 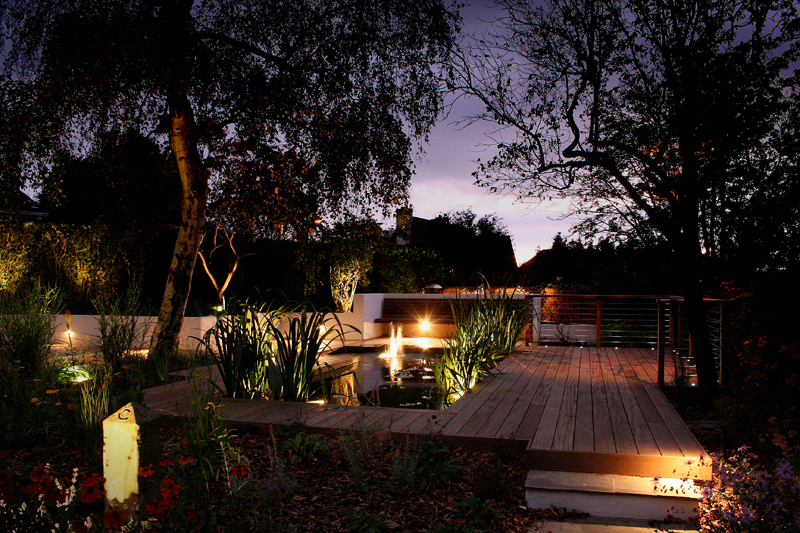 A well designed lighting scheme will not only make your garden more functional, but it will also allow you to feel connected with it after dark even when you’re looking out on a cold wintry night.